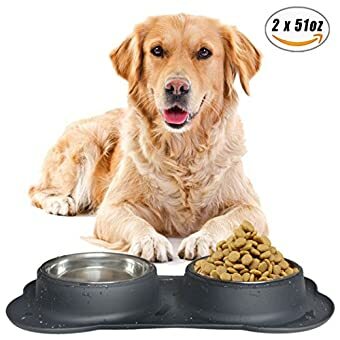 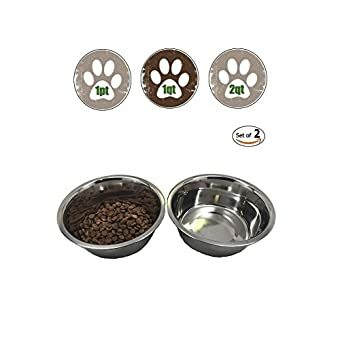 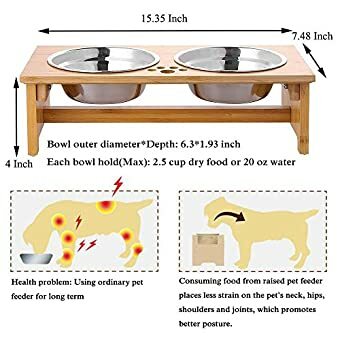 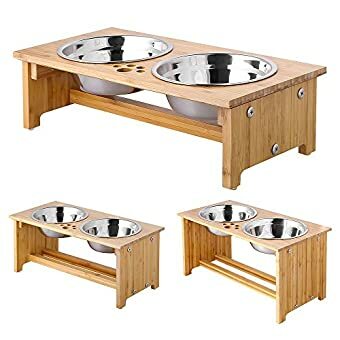 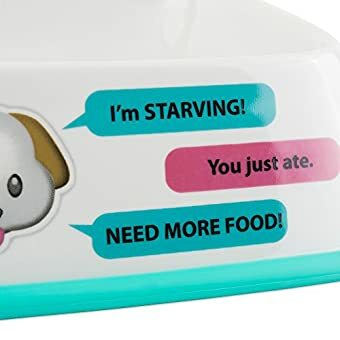 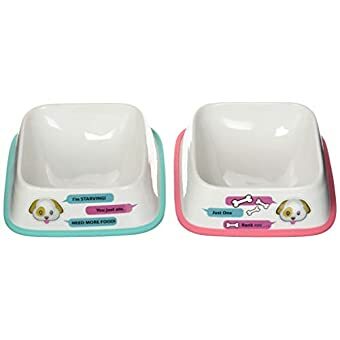 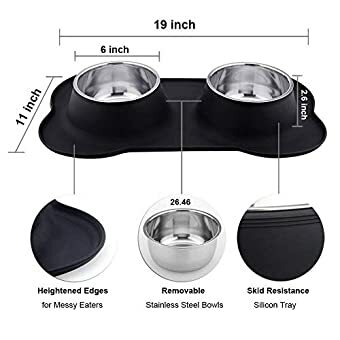 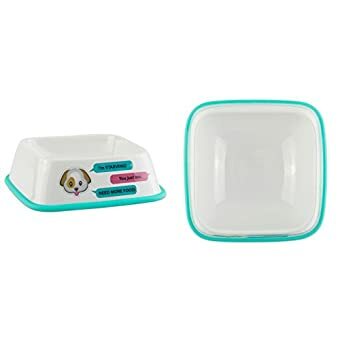 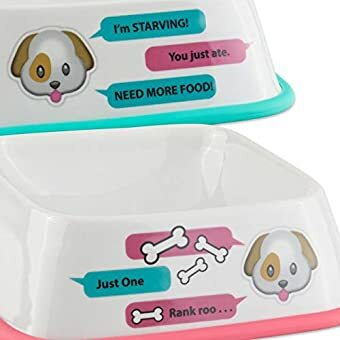 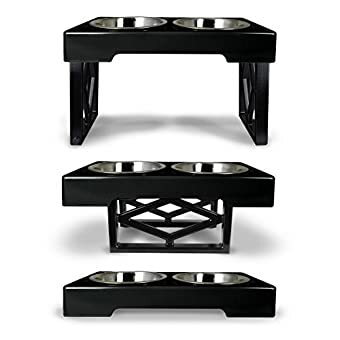 FULL DINNER SET: Set of 2 pet bowls, each measures 6.75″ L x6.75″ W x 2″ H, suitable for small, medium and large cats and dogs. 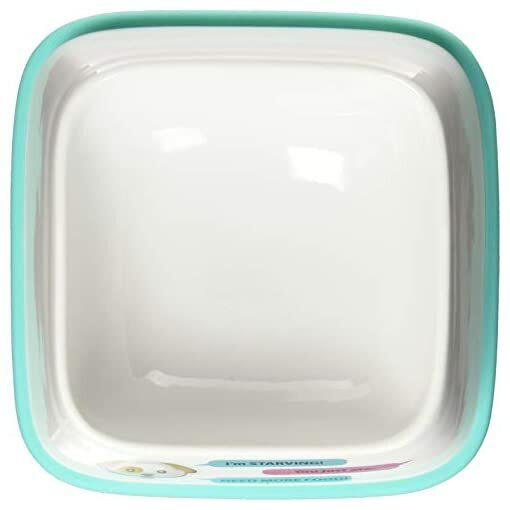 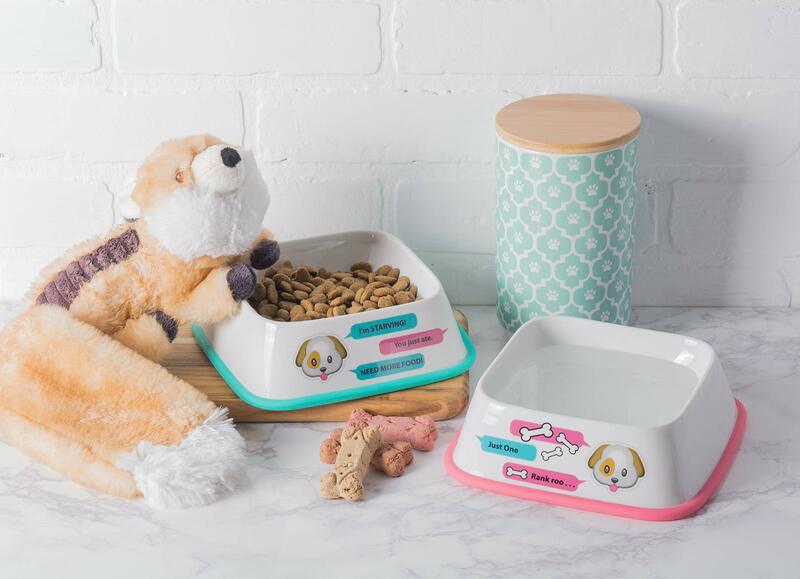 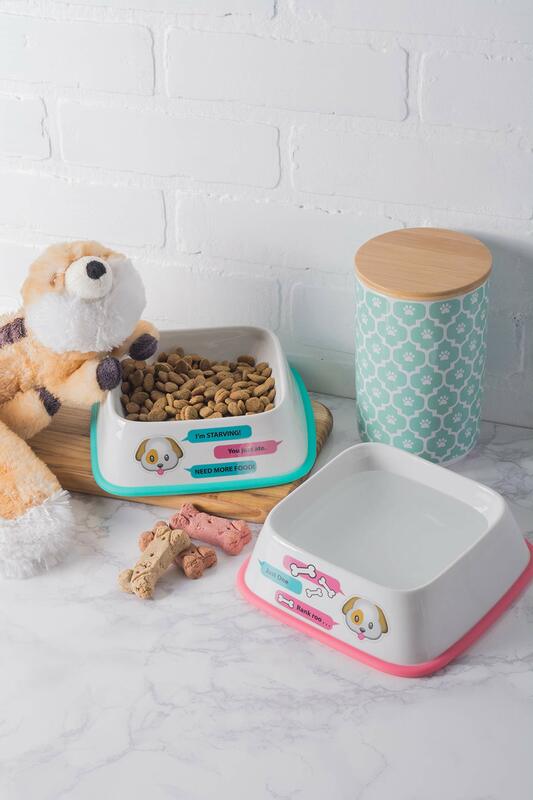 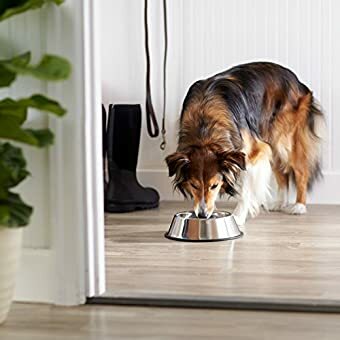 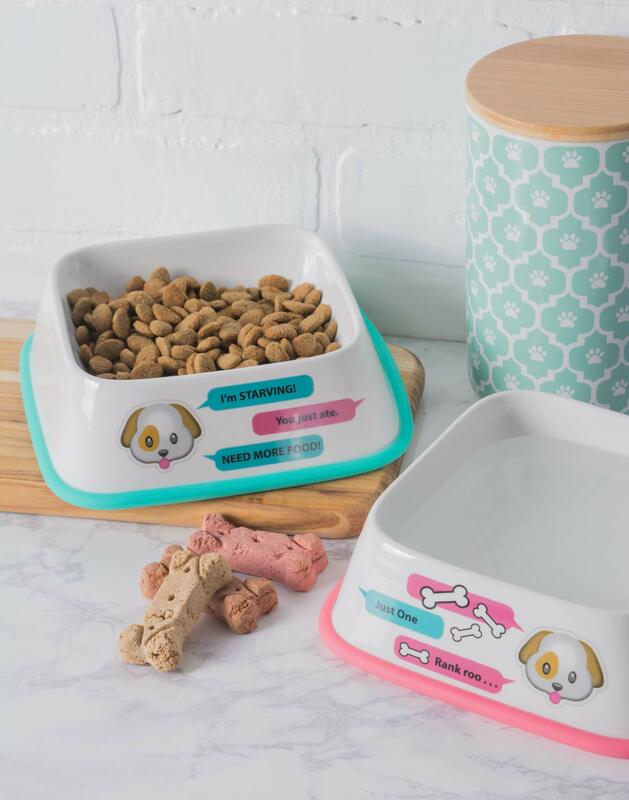 DURABLE MATERIAL AND EASY CLEAN: Pet bowl is made of Porcelain Ceramic, conveniently dishwasher safe so it can be easily cleaned. 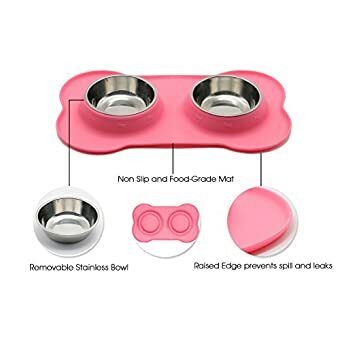 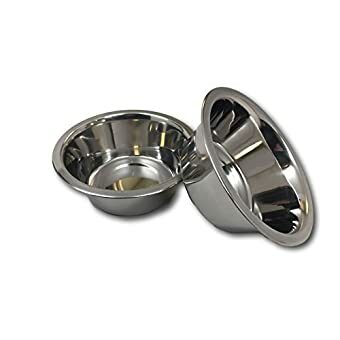 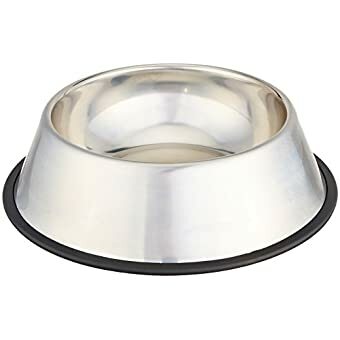 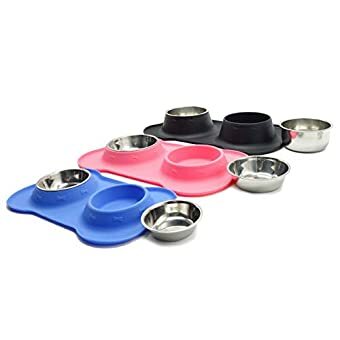 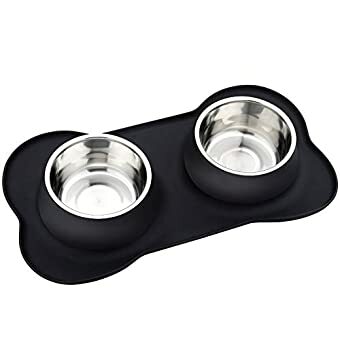 NON-SKIDDING & FLIPPING: Silicon rim at the bottom will keep your pet’s bowl from sliding around on the floor. 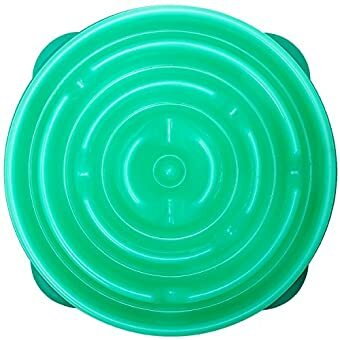 No more messy floors for you to clean as well. 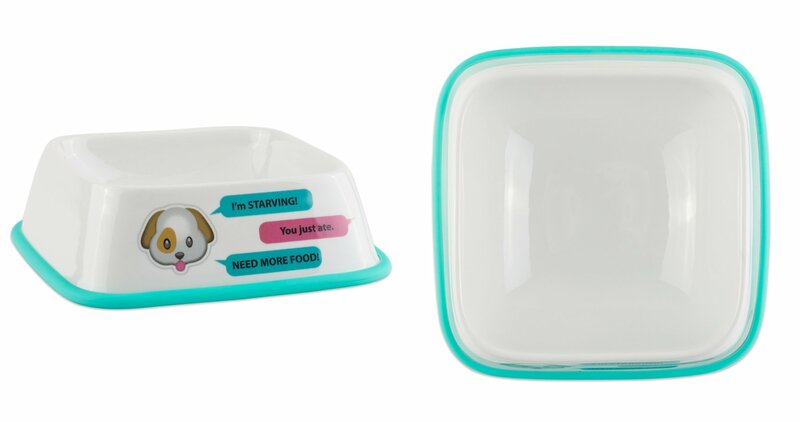 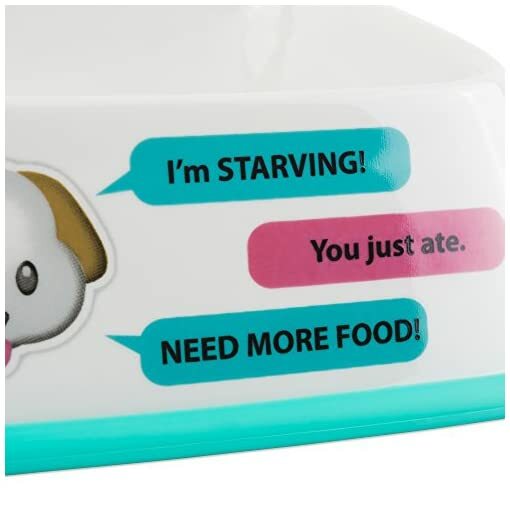 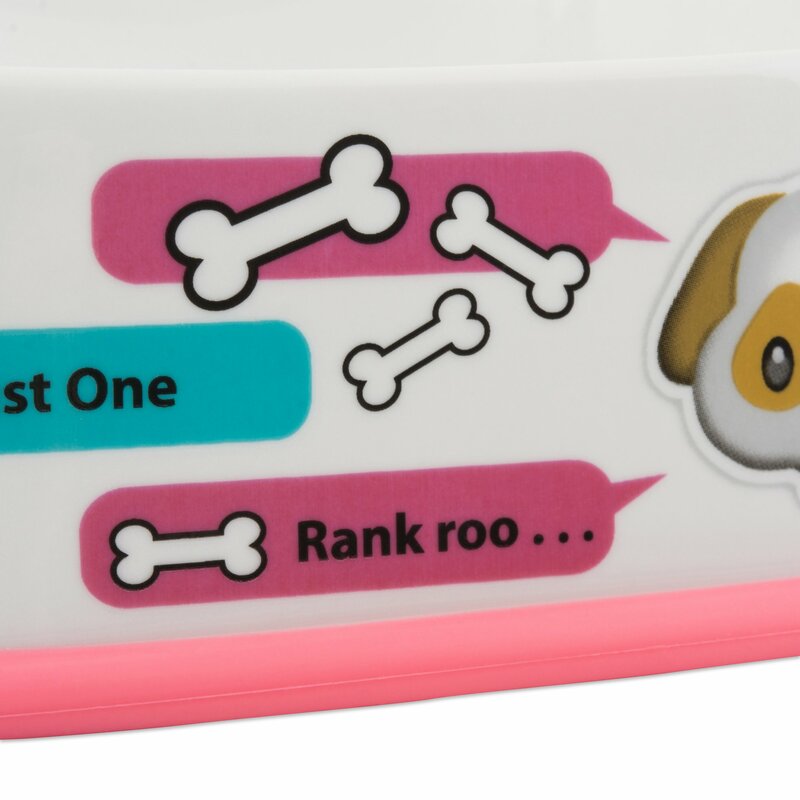 PAWTASTIC DESIGN – Delight your hungry pup or sassy cat with a fun printed food or water dish. 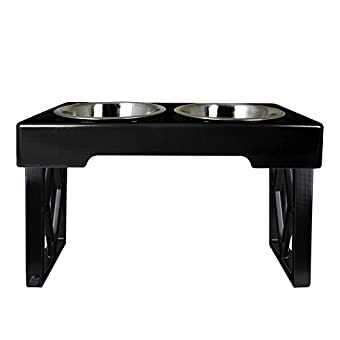 Stylish and simple design will blend in with any décor in your home or kitchen. 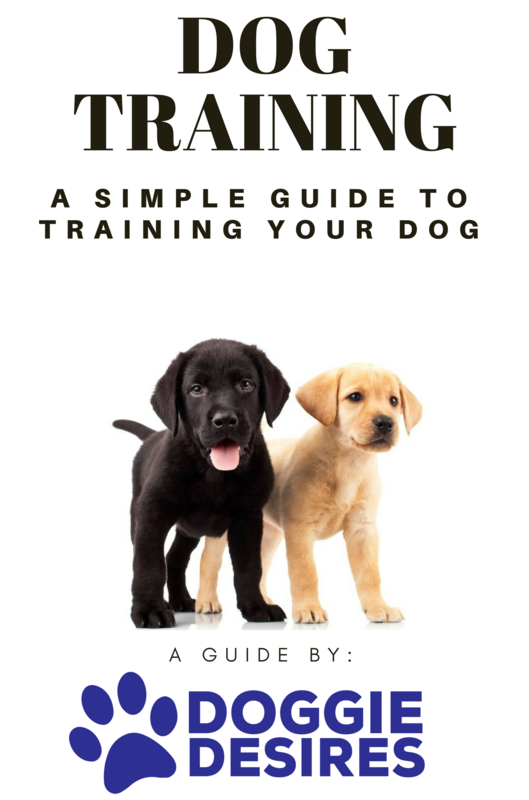 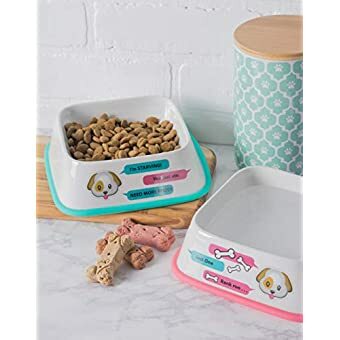 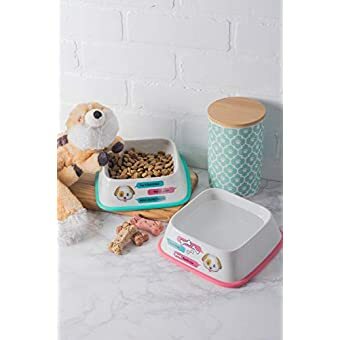 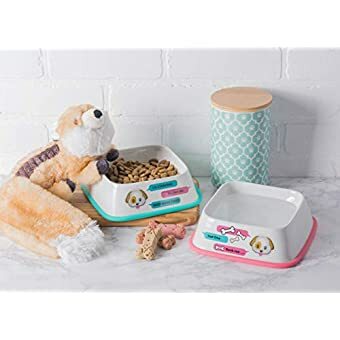 MORE BONE DRY PET OPTIONS – Bone Dry offers various pet products including pet bed, pet towels, pet mats, pet bowls, blankets, and toy storage. 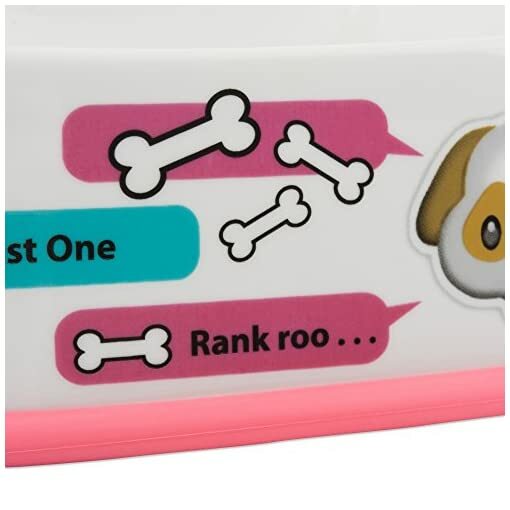 Search Bone Dry or click the link at the top for more. 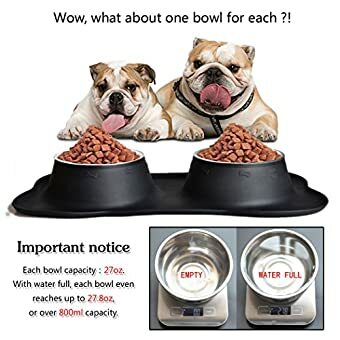 6.75 X 6.75 X 2", Medium – 6 x 6 x 2", Small – 4.25 x 4.25 x 2"